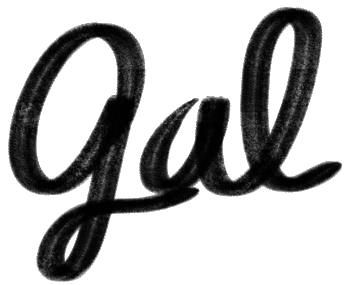 Whoo, Gallantly, gal is back at it again, rakin’ in those award nominations! Don’t worry, I’m not letting it get to my head at all (Dons party hat and starts slicing dollar bills into the air). Okay, back to being sober–until I start sharing facts and answering questions, anyway. I’ve been nominated this time for the Liebster Award 2018, and by Andrea again! She’s spoiling me over here. Thanks Andrea! I much prefer bumper cars, merry-go-rounds, and Ferris Wheels to any roller coaster (I can’t even get on them). Out of all the sports, I love playing tennis the most! My favorite color is mint green. My favorite meal of the day is breakfast/brunch. I would used to get sad if my scrambled eggs didn’t taste good–but I’ve perfected them now thanks to Gordon Ramsay! My favorite Sailor Scout is Mercury. My favorite vegetable is corn. I’m so inflexible that I think I’ve touched my toes… like five times my whole life. I have the first five seasons of Psych on DVD and watched them religiously. My favorite dog breed as a child was the Old English Sheepdog. So. Much. Floof. Now I can’t choose! I actually started by creating a joint blog with a friend. She is a writer, too, and we both needed the push to consistently write and practice! And it worked! We would check to make sure the other person posted when she was supposed to or face a penalty! It was a good buddy system. Now we both write a whole lot more and I’ve moved on to make two more blogs! Are you happy with your life at the moment, or would you like to change something? Oh man… haha. I’ve been trying to practice positivity and gratitude, and it’s definitely been helping, but overall, I would say I am not happy with my life. I would like to change my current status in regards to my career. I want to do something I love and that will make me really happy while being financially independent. Do you remember the first blog you followed? Who was it? Do you believe in “Always be yourself,” or do you sometimes take an opportunity to play another role for just a short amount of time? Ooh, so actually, I always felt weird. Like I would change colors depending on the crowd and environment, very much like a chameleon, but not necessarily fake, and then I more recently found out that Pisces were inclined to do just that! Something with empathy and being easily affected by vibes and other people’s energies. That’s why this is a very interesting question. I rarely ever feel like I’m being myself because I don’t know what that is exactly, so I can’t say, really, if I believe in it. Do you think there are more men or women on WordPress? What about your followers? This is hard… I feel like it’s fairly even, but if I had to choose, there are more women–definitely among my followers, anyway. As what animal would you like to come back after death? A dog. A spoiled rotten dog with kind humans. Livin’ the life! And giving so much happiness to others just by being there?! Sign me up! If a machine were invented that enabled you to remember all of your past lives, would you do it? Why or why not? If you could eat anything you wanted right this very moment, what would be the meal? What sport or game would you invent? Do you believe in one soulmate? What is your favorite rom-com and why? If you were an actor who could only act in one genre, what would that genre be? Which TV show do you think is the most overrated? Which TV show do you think is the most underrated? If you had to be a professional athlete, what sport would you choose? What message of love do you want to give yourself today? You do not have to participate for the Liebster Award if you do not want to! Just know I love your blog! Also, I need to go through everyone else’s list because I am now hungry for more bloggers to find and blogs to devour! 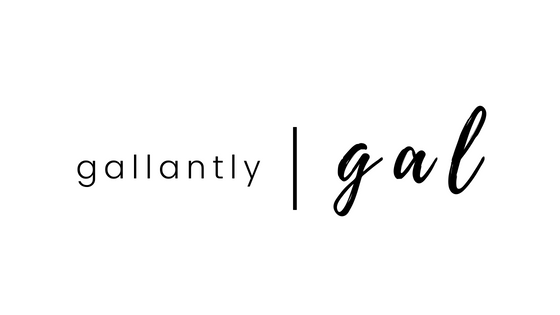 See Also: Welcome to Gallantly, gal! Thanks again for the nomination for the Liebster Award! I agree with you about the yumminess of brunch. The food is delicious! Mercury was my favorite SS too. Man, those were some fantastic years being obsessed with Sailor Moon. I know they did an anime remake but I have only seen like the first 2 episodes. Bumper cars used to scare me lol. I never knew how to drive one properly and was always the one who got stuck in the corner. Yeah! I thought Sailor Mercury was the least popular, but apparently she’s the most popular in Japan! Go figure. She’s pretty much the real leader of the scouts. I was so obsessed as a child, too. The anime remake looks odd. I don’t like the style of drawing, so I haven’t watched it, either. Haha getting stuck in bumper cars xD yeah. I feel like time goes too fast on those because I end up being stuck half the time! Go Mercury for her popularity in Japan! 😍 The anime remake looks like it drew some influence from the manga art style of SS which makes it look so different from the original anime. I’m not happy in my current situation either! But I have never considered practicing positive thoughts. In general I’m a realistic person. I do sometimes watch YouTube videos where all these people talk about positiveness, unicorns and rainbows. Mannnn, it annoys me so much! Realistic is good! I’m more of a dreamer, but I have negative tendencies (so I’m practicing positivity haha). I still worry a lot, get anxious, think of worst-case scenarios, etc, which isn’t very practical, but I think dreamers can be a bit dramatic xD thank goodness there are realists to balance us out!